Everything that happens to us emotionally–good or bad–is directly connected to the relationships we have. Whoever you are in a relationship with affects you. It’s vital that as single people you are very selective on the relationships you allow into your life. 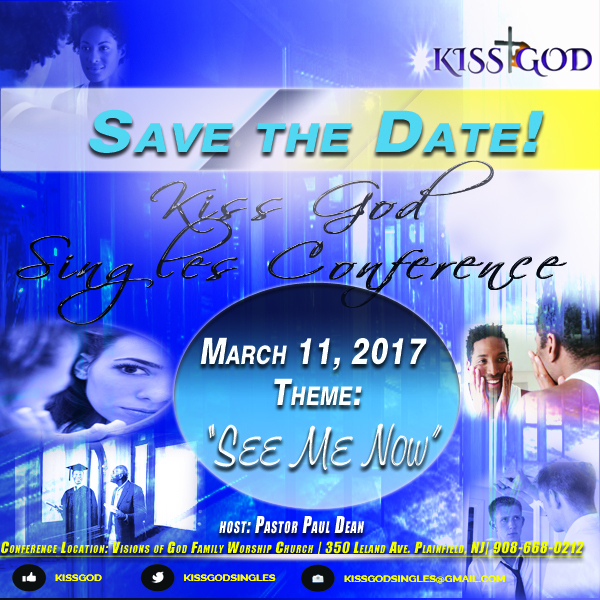 Kiss God is about reminding singles to fall in love with God because I believe that singles will understand the heart of the healthy relationship and its values once they build their relationship with God. Kiss God was birthed from the burden of my heart brought, on by seeing and hearing singles make so many wrong choices as they go from one relationship to another. OUR MISSION HERE AT KISS GOD [Kingdom International Singles Seminars] is to cultivate confidence in every single man and every single woman through intimacy with God. Kiss God is going to help you fall in love with God, build healthy relationships, evaluate current relationships, find your purpose as you wait.